Gothic as a style has been living it’s revival in culture for some time now, to mention the most recent fascination with vampires thanks to the Twilight saga at the very least. There is a romantic notion of gothic architecture giving home to spiritual secrets and creating fantasy worlds. 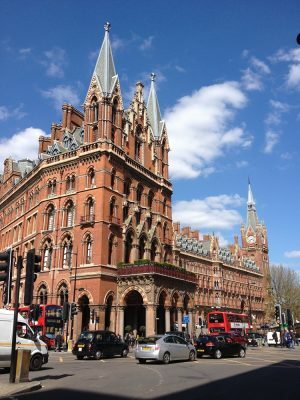 It’s not surprising then that a Victorian – Gothic building in the heart of London has just been brought to life in one of the most spectacular restorations. 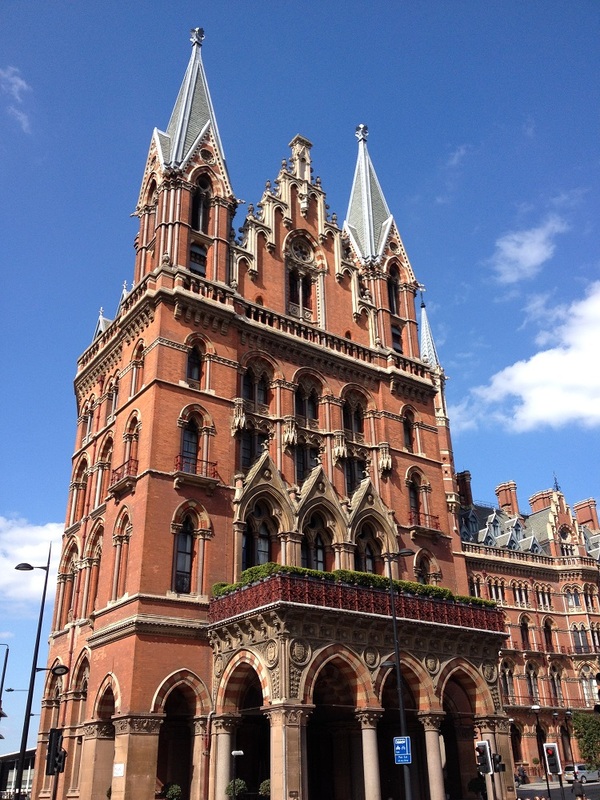 The former Midland Grand reopened its doors as another 5 star London hotel – St Pancras Renaissance. 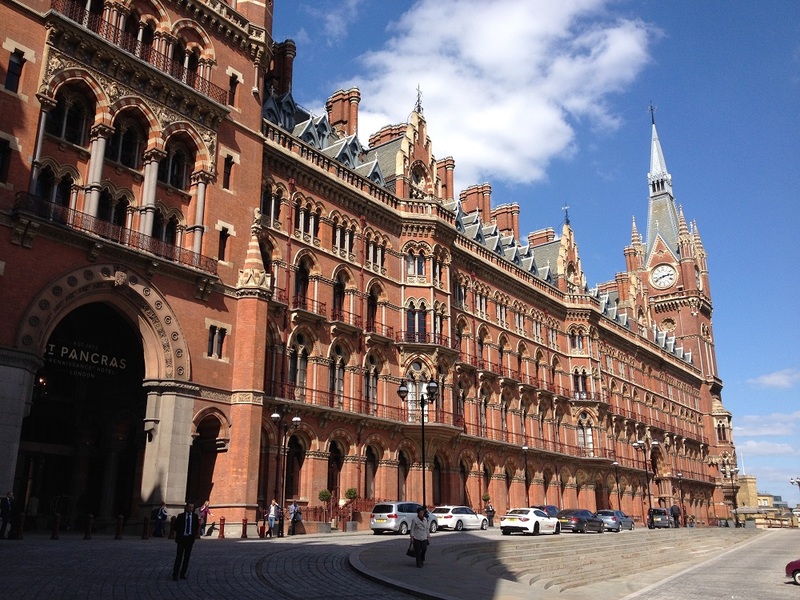 The vision of Sir Gilbert Scott, originally brought to life in 1860s, was meant to extend the St Pancras station frontage and drew an obvious inspiration from the Gothic Revival Palace of Westminster, nowadays known as the Houses of Parliament. The hotel’s design was equally ornate, yet more subtle and colourful, knowingly mixing both Venetian and English Gothic. 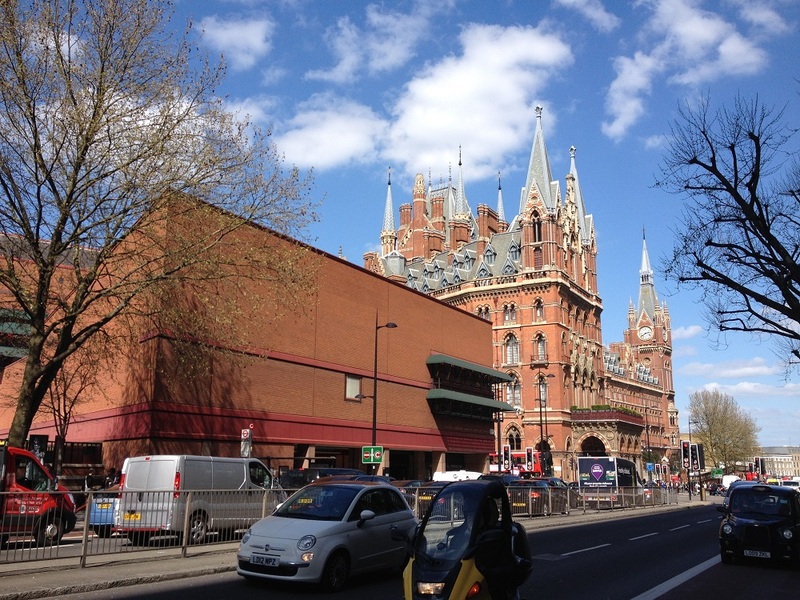 Scott’s plans included using red brick to accentuate the material that brought Midlands to wealth. He also insisted on highest skilled stonemasons being employed to create an interior that would meet the Victorian imagination’s expectation, reviving the medieval Gothic techniques. As a result, the decor boasts carved capitals, gargoyles, headstops, polished limestone pillars. The historical Ladies’ Smoking Room, currently used as a function room, has a breathtaking ceiling painting in faded palette. The former forecourt through which taxis would take guests inside the hotel has been artfully covered and became the main reception, while the ticket office is reborn as a bar. The room inside the side entrance features a jewel-coloured Gothic ceiling and 22-carat gold gilded cornices. However the main showpiece is the famous staircase, featured not only in ‘The Servant’ starring Dirk Bogarde, but also, more infamously, in Spice Girls ‘Wannabe’ video, has been painstakingly brought back to its original splendour, with original wrought iron balustrades curled up three stories and Briton carpets rewoven in antique colours. Even the ceiling decorations, with fleur-de-lis patterns and a celestial scene of seven Virtues have been stripped from layers of paint fully restored – a true masterpiece of High Victorian, neo-Gothic extravagance. 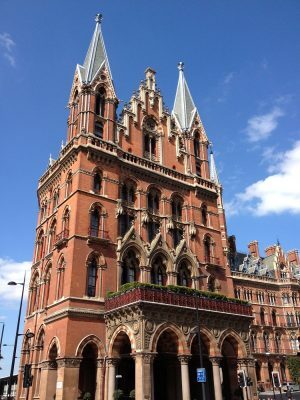 The breathtaking St Pancras Renaissance hotel will only slightly disappoint those expecting period Victorian room interiors – these were modernised to the highest standards. However the dark, romantic feel remains inside the monumental cathedral-like walls. The ones craving more historical knowledge will benefit from guided tours run by Royden Stock, once a security staff member who has seen every aspect of the restoration process. 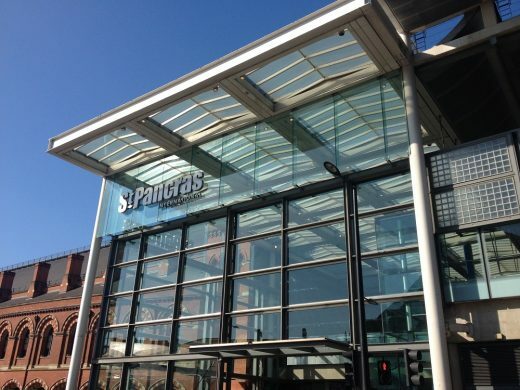 The Grade-I listed landmark has been truly brought back to life.